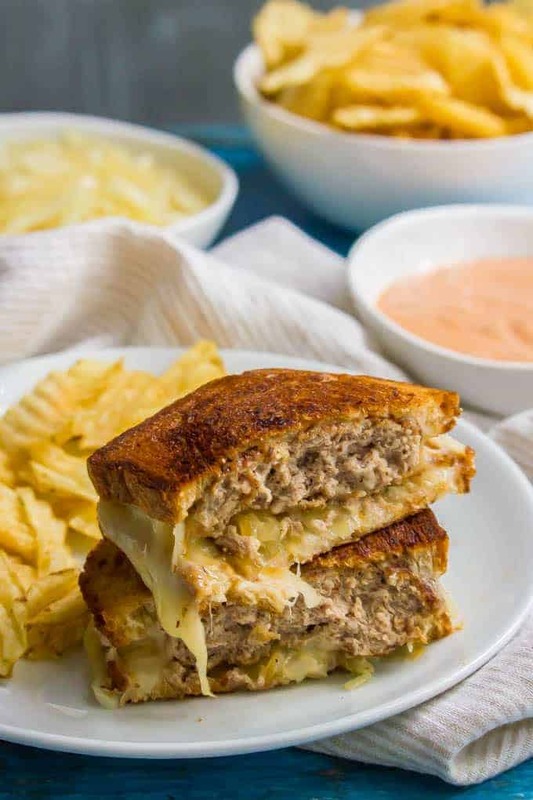 This ground turkey patty melt sandwich is a healthier version of the diner classic and always hits the spot! 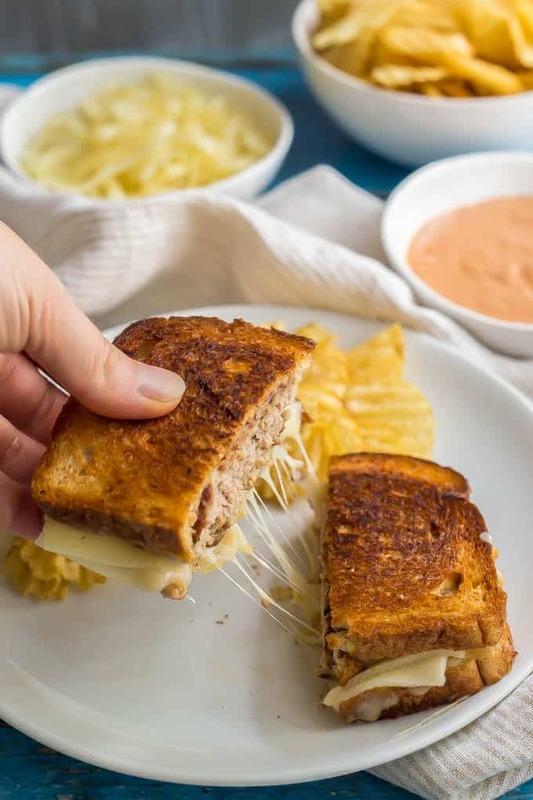 This melty, cheesy, meaty sandwich is perfect for an easy lunch or dinner the whole family will love! How is it only Wednesday? In the meantime, I’m going to put my head down and get to work so this week hurries up a little! 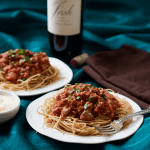 So let’s talk food. 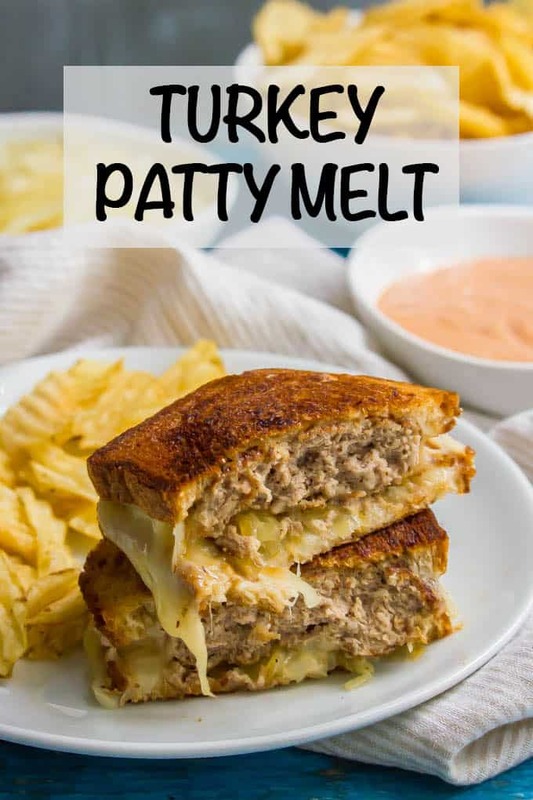 Wondering, what is a patty melt? 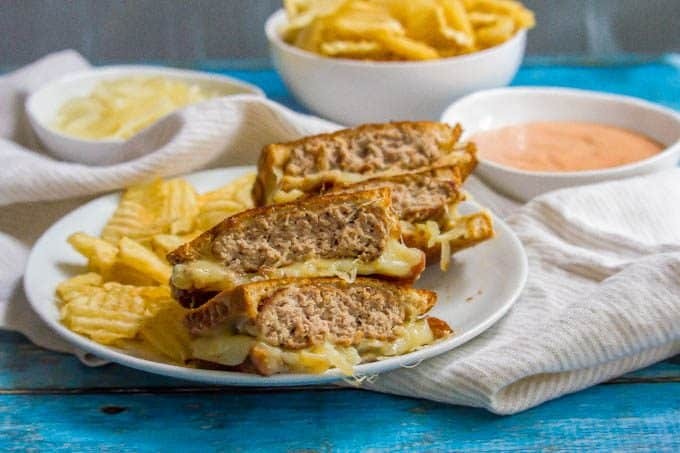 A patty melt is a sandwich that’s a mash-up of a grilled cheese and a hamburger. It’s made with a hamburger patty, Swiss cheese and typically rye bread. Sometime caramelized onions are added. Speaking of, the caramelized onions that go in these sandwiches do take a bit of time. You don’t really have to babysit them though, they just need to spend some quality time in the pan over medium-low heat to reduce down and get that savory-sweetness to them. I suppose you could skip them, but man, they really add some great flavor! I tend to make extra while I’m at it so I can add them to burgers and sandwiches for the next week! Otherwise though, you’re just cooking up some thin burger-type patties, assembling your sandwiches and cooking them up like a (very large and in charge) grilled cheese. 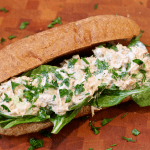 Super easy and your whole family will be ready to devour these melty, cheesy, gooey, crunchy gorgeous sandwiches! They’re a classic for a reason after all! Rye bread is traditional but I’m not a huge fan. Feel free to use any other sandwich bread you like, just keep in mind that you’ll want the patties to be about the same size. The patties for a patty melt should be pretty thin. 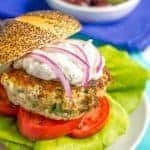 These aren’t burgers and you’ll want them to be large enough to cover your bread (maybe even a big bigger because they do shrink when cooking). 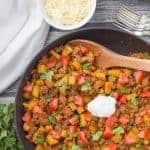 I use ground turkey for my homemade patty melts to make them a little healthier, but you can use regular ground beef here too. 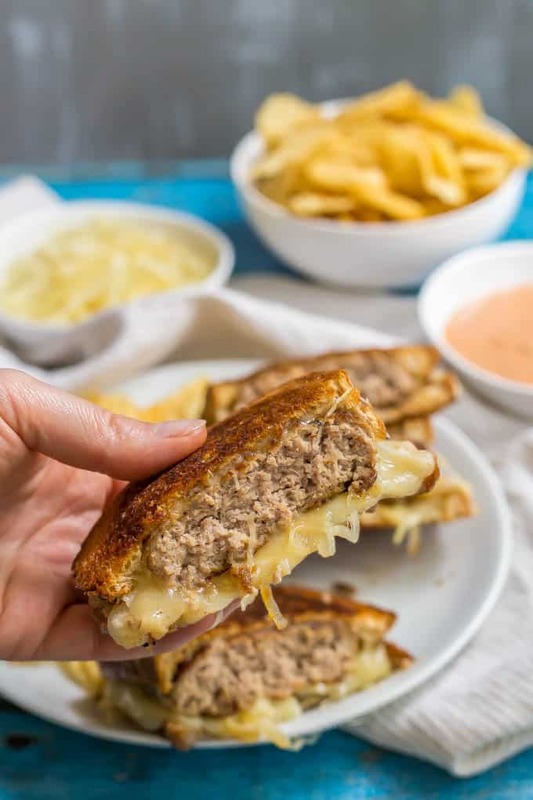 Swiss is the traditional cheese for a patty melt, but you could try it with mozzarella if you prefer that. Butter is the regular way to cook the onions, patties and sandwiches, but you could use half butter and half olive or canola oil if you want to reduce the amount. I listed the serving size as 4, but you could possibly get 5 patties out of this recipe. It depends on how large you make each patty. 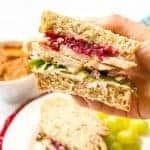 This turkey patty melt sandwich is a healthier version of the diner classic and is perfect for an easy lunch or dinner the whole family will love! Heat butter in a large skillet over medium low heat. Add the onions and cook, stirring occasionally, for 30-40 minutes, until very tender. Season to taste with salt and pepper. When the onions are about halfway done, get started on the patties. 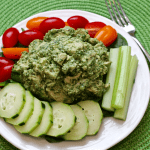 Combine ground turkey, Worcestershire sauce, salt and pepper in a large bowl and mix until just combined. Divide the mixture into 4 even parts and make large, thin patties (you want to try and get them about the size of your bread). Heat a large skillet over medium high heat and melt the butter. Place a piece of Swiss cheese on a slice of bread. Top with one of the patties then a scoop of caramelized onions. Add another slice of Swiss cheese and then the top slice of bread. Repeat for the remaining sandwiches. Heat a large skillet over medium heat and melt the butter. Add the sandwiches (work in batches if needed) and cook for 2-3 minutes, until well browned and the cheese is melted. Flip the sandwiches over and cook on the other side until well browned and the cheese is melted. Rye bread is traditional but feel free to use any other sandwich bread you like, just keep in mind that you’ll want the patties to be about the same size as the bread.